up to 30-35% of your total heat loss. Jet Stream MAX is a soft, granulated mineral wool roof insulation used in attics, ceilings or roofs for thermal and acoustic insulation. It has all the advantages of glasswool batting materials without the inherent installation disadvantages, so achieves superior installed performance. Correct product selection for each section of your home has the MOST critical effect on Total R-value (long term) and the installation needs accurate system design to counter typical installation errors. Blown roof insulation doesn’t leave any cavity between the insulation and internal lining. which is great because vented cavities decrease insulation and in practice most batted ceilings end up with vented cavities – which can halve the R-value. Thermal bridging through uncovered framing timber or any edge gaps (even 2-3mm) reduces the bale R value by 40-50%. 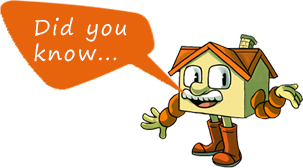 Blown roof insulation prevents it by covering the timber with at least 50mm of insulation over any framing timber. Jet Stream MAX has no added formaldehyde, is non-combustible, clean and durable blown and is used to insulate New Zealand roof attics. It is particularly effective spray insulation for insulating tight roof cavities, or insulating hard to reach attic spaces. Premium quality Jet Stream MAX insulation forms a consistent white layer similar to cotton wool in accessible roof attics. It eliminates energy wasting gaps, joints or vented cavities between the insulation and lining common with blanket or batting. Blown in Jet Stream MAX is packed in branded white plastic bags. The total installed thermal roofing effectiveness of Jet Stream MAX is superior to batting or blanket, as it covers the full ceiling – including over and under timber joists – without joints, gaps, thermal bridging, or vented cavities commonly found between linings and batting or blankets. It provides premier insulation values.